Fusion Extreme Permanent is a super durable pressure sensitive label paper made for the most demanding labeling applications. 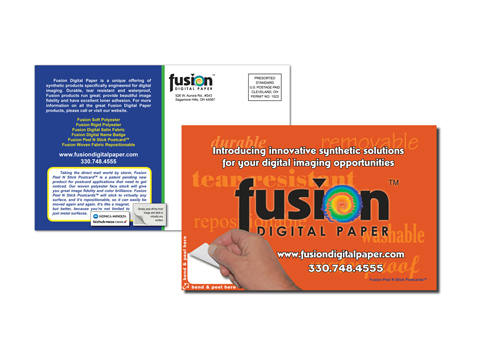 Fusion Digital Paper™ is a premier provider of highly durable paper products made specifically for high heat toner production equipment, and this one of a kind sticker paper is no exception. Its highly conformable smooth fabric face stock is polyurethane coated, making it water, tear and solvent resistant and a great choice for permanent adhesive labels that will be exposed to the toughest of conditions. This includes cryogenic labels, freezer labels, waterproof labels and any label paper that will spend time outdoors. Fusion Extreme Permanent is engineered specifically for digital imaging, and offers excellent print fidelity and toner adhesion when run on high heat toner production digital equipment. In addition to its print quality, you will also appreciate its runnability. Our permanent adhesive is tailor-made for extreme conditions. You can apply Fusion Extreme Permanent label paper at -20°F or higher temperatures, and once applied it can withstand temperatures down to -320°F without adhesion failure. This of course makes it perfect for cryogenic labels and freezer labels and it has been used for signage on the Alaska Pipeline. Fusion Extreme Permanent can also be exposed to temperatures as high as 340°F for extended periods of time without distortion, discoloration, or deterioration. The adhesive also adheres acceptably to low energy surfaces. 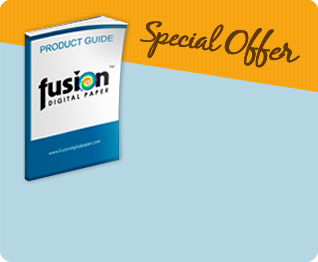 Fusion Digital Paper™ reminds you of the versatility inherent in our Fusion Extreme Permanent. Its waterproof, tear resistant and conformable face stock is also the perfect choice for pressure sensitive racing bibs, as its adhesive adheres well during the rigors of the race, but removes nicely from racers clothing attire when they have passed the finish line. 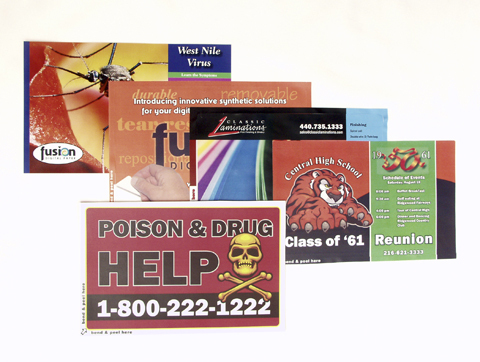 If you want a label that can be printed digitally and require a durable adhesive paper that will stick permanently to where you put it, we invite you to learn more about Fusion Extreme Permanent. This is a sticker paper that is built to last in even the harshest of conditions, and in a way few other labeling products can.